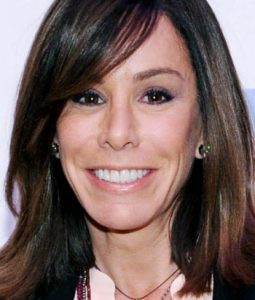 Melissa Rivers is an American actress, television presenter, producer, equestrienne and philanthropist. She is the only child of comedy legend Joan Rivers and producer Edgar Rosenberg. Melissa was the host of the E! cable network, and appeared on the NBC reality television program Celebrity Apprentice playing for the Lili Claire Foundation. She is also the New York Times bestselling author of The Book of Joan and Red Carpet Ready. Born Melissa Warburg Rosenberg on January 20, 1968, in New York City, to Joan Rivers and Edgar Rosenberg, she started dancing at the age of 8. She did her schooling from John Thomas Dye School, Marlborough School and Marlborough School. She received a degree in European History in 1989 from the University of Pennsylvania. She married John Endicot in 1998, and the couple had a son named Cooper in 2000 before getting divorced in 2003. In 2015, she began dating talent agent Mark Rousso. *She was born in New York City on January 20, 1968. *Her father, Edgar Rosenberg, committed suicide in 1987. *She is a 1989 graduate of University of Pennsylvania. *She credits her mother, Joan Rivers, as her favorite mentor/best friend and her real-life mother. *She hosted fashion on the red carpet interviews for the E! cable network with her mother, comedian Joan Rivers. *She enjoys tennis and surfing in her spare time. *She dated sports coach Jason Zimmerman from 2008 to 2011. *She currently resides in Los Angeles with her son and two dogs.